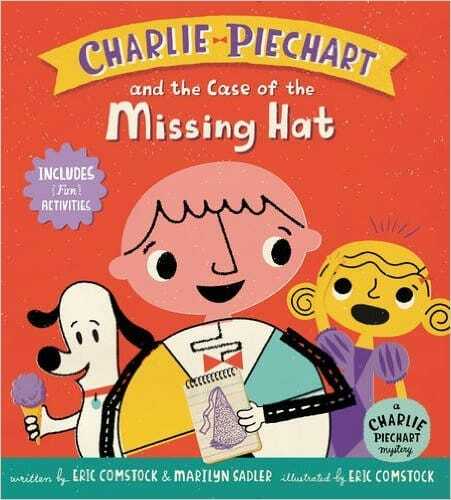 Charlie Piechart’s second math mystery takes place at school - when a purple, sparkly cone-shaped princess hat goes missing! Margot needs her hat in time for the school play (today! 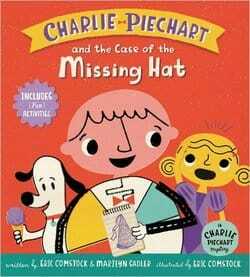 ), so Charlie and his dog companion, Watson, are on the case—finding evidence of sparkles and purple paint and keeping on the lookout for geometric clues that might lead to the missing hat. Fantastic colors, clever characters, and beginning concepts in geometry will go down easy as pie, while activities at the end of the book will reinforce the shapes and the story. Dynamic duo Eric Comstock and Marilyn Sadler bring the right level of energy and entertainment for this engaged picture book audience.